T Minus 48 Hours and Counting!! I know I haven’t been around much on here over the last few weeks… I’ve even neglected my TILTs! There’s just been so much going on… so much drama, work, training in the gym, socializing and so on that I just haven’t had enough time or brain power or the emotional capacity to say much of anything of interest. That’s right! I hit the £100 mark which means I’ll be running the mile in embarrassing style—though I think the walk to the track in my tutu may be even worse! Either way, I’m thrilled to make good on my promise as I’ve had so many people donate. 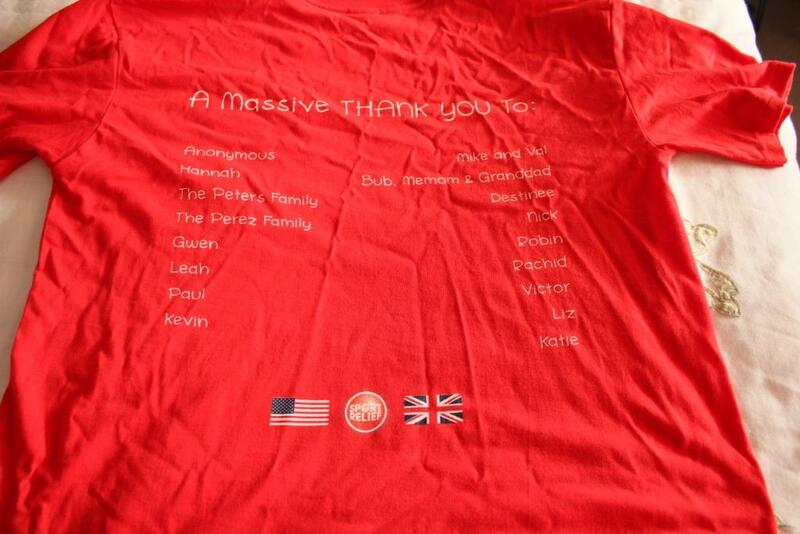 It really has been unbelievable how many people have stepped up and donated what they could. You’re all superstars in my book! The ever-awesome guys at Printed Wardrobe were kind enough to donate a shirt to the cause as well, allowing me to give the thanks to all my donors that they deserve. Printed Wardrobe are the best of the best when it comes to print on demand items and their customer service is fabulous. Make sure you check them out if you ever need a special shirt, phone cover or cap. Their prices are cheap without skimping on quality. And a big thanks to Olly at Printed Wardrobe for his £5 donation—sadly it was too late to get his name on the shirt but he deserves loads of thanks all the same. 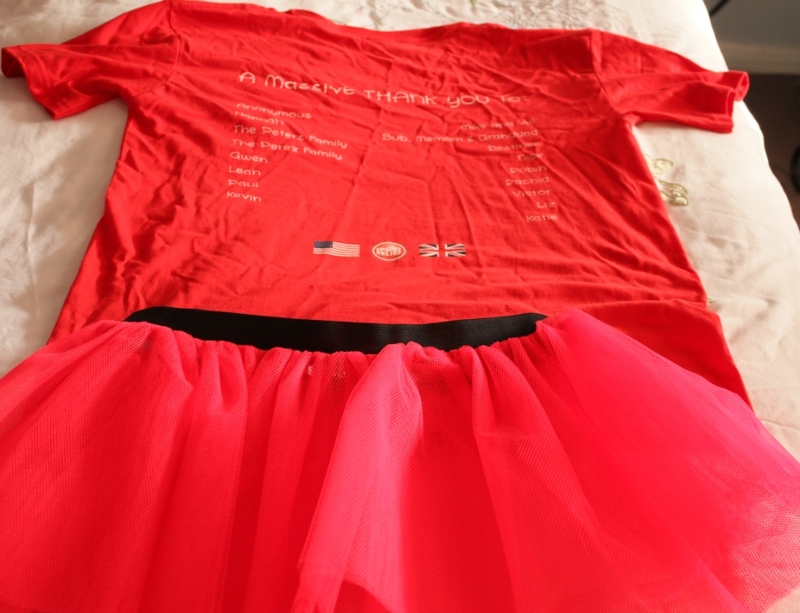 There’s still time left to donate and, even though your name won’t make it on the shirt you’ll still make me one happy tutu-wearing running lady! To donate, check out my donor page. I’m less than £7 away from £150 which is loads more than I expected to raise anyhow. I can’t tell you how thrilled I am and how excited I am to be raising money (and running!) for such an amazing cause. Can’t wait to share photos (and laughs) with you all. ‹ PreviousSport Relief – I need your help!